There's been a dearth of posts at this blog lately, but it doesn't mean that I've grown tired nor left model kit building altogether. Quite the opposite actually, I'm knee deep in it. These past few weeks I've been getting on a new horse so learning pains were definitely imminent. I "finished" building the 1/48 Revell Huey Hog and am working on the 1/48 Revell Phantom II C/D. I say "finished" because I'm not entirely pleased with how my build went. It started with the Bosny Olive Green I bought that was a disaster from the start because it had a clogged nozzle. Suffice it to say the paint came out rough and thick. Ruined the surface of the Huey from my perspective. It wasn't a total loss however as because of that experience I learned how to decant paint from that spray can in order to salvage it(Something I'll save for a later post). That too was a gruesome experience as I had to figure a way how to harvest the paint, use it as well as store it properly. 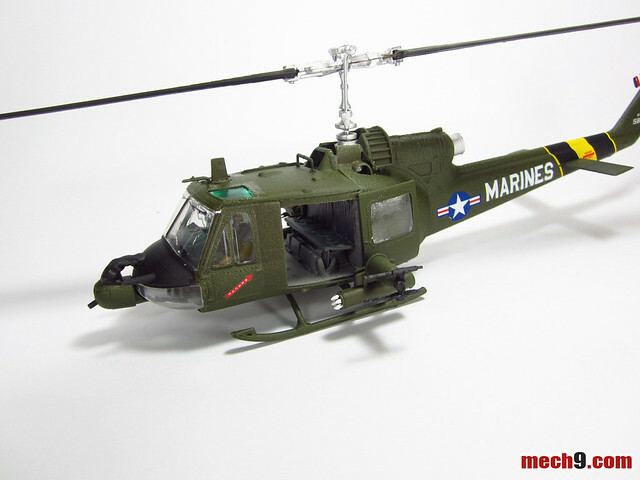 Along the way the Huey became my first model kit that I learned to use an airbrush with. In the end I wasn't entirely pleased with the finished model kit, because I knew I could have done better. Despite those setbacks I still say the collateral damage was worth it with the knowledge I've learned.